Winter may (finally & hopefully) be behind us! That’s not to say that Spring doesn’t bring some chilly mornings, but overall it’s safe to say we can put away the snow bibs and winter gloves. These items can be bulky and take up lots of space in your every day closet and dresser. We always suggest that you edit before you store. Take inventory of the clothing and accessories you gather, and be ruthlessly honest with yourself. If there are damaged or stained items - let them go, they don’t need to take up space and it isn’t likely they will be useful next season. Consider the best location for those stored items. This could be under the bed, an unused storage closet, or a basement/attic. If your storage area may be damp, DampRid is a great product that will help attract and trap excess moisture. When looking for the best place to store seasonal items in your home, look for these conditions: clean, cool, dark and dry. Adding cedar or lavender blocks to your storage containers, bags or bins can help keep your stored items fresh and protected. If you’re going to use plastic bins, we always suggest using clear ones. This eliminates the question or confusion when looking for a specific item. Using bins of matching size create ease when stacking or fitting bins into the storage area you choose. With bulky and puffy items like jackets or snow pants, you can use vacuum sealed bags to save lots of space. Invite your family members into the decision making with the purging and storing. 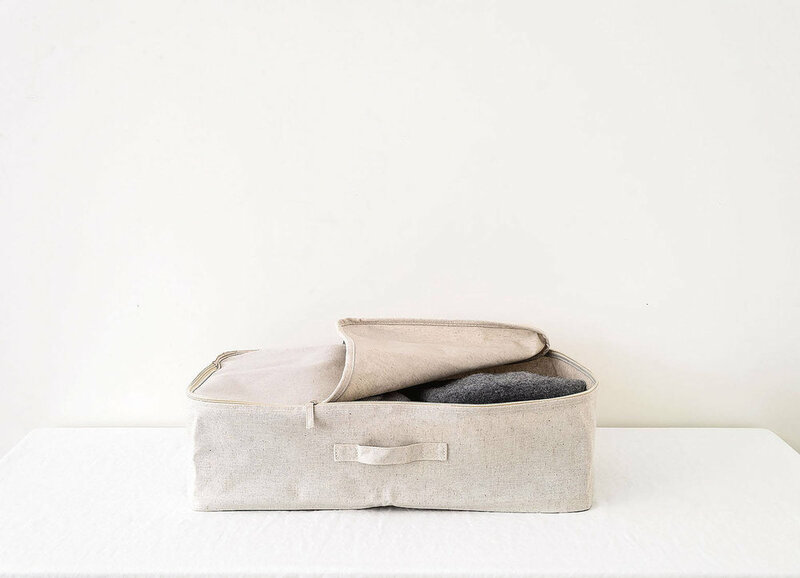 Storing seasonal items allows more space for the clothes, shoes and accessories you wear on a daily basis in the current season. This can help eliminate frustration and overwhelm when looking for a specific item or choosing what to wear. It’s simple - what you need, is in front of you and what you don’t need, isn’t cluttering your space or mind. The dawn of a new year is a great time to reflect and dream about the days ahead. Instead of feeling overwhelmed by the lists of "shoulds", let's be practical as we think about how to be better stewards of our homes this year. There are ways to maintain order and organization on a daily and weekly basis but the beginning of a new calendar year is a great time to plan for the next four seasons. We're suggesting tasks, projects and specific areas of focus for each season. Show your home some love throughout the course of an entire year, one season at a time. So, we did some research and added our own touch to create a free printable for you. We've taken into consideration the weather and other factors that effect the ease and importance of certain tasks. 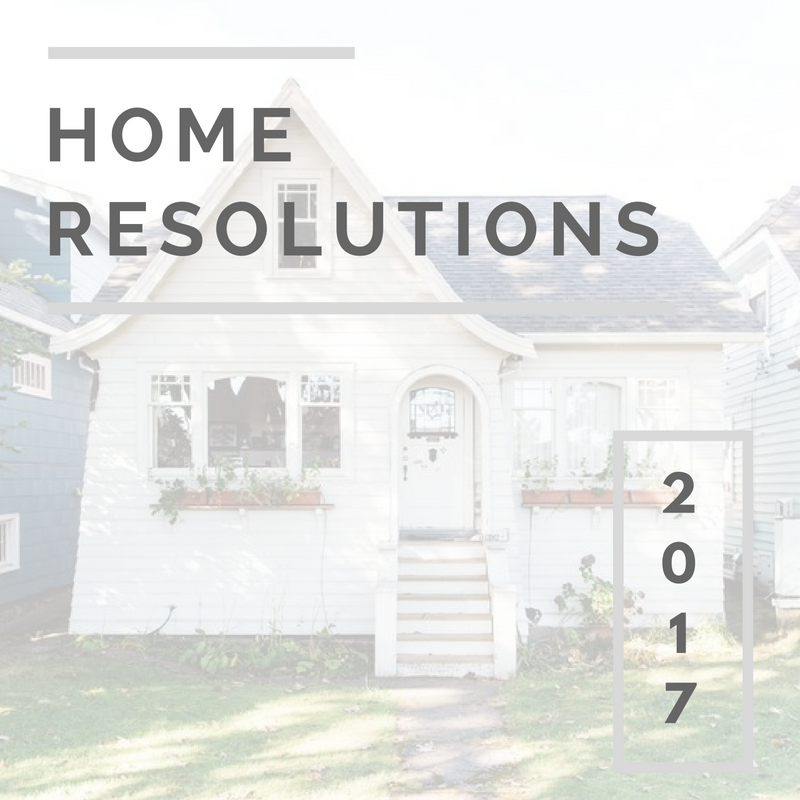 Download, print, and share the Home Resolutions for 2017 right here on our blog! Our team is ready to help you with those areas that need organization, every season of the year. Give us a call to schedule your free consultation today 865.345.9080.